Our garden is more ambitious than ever. 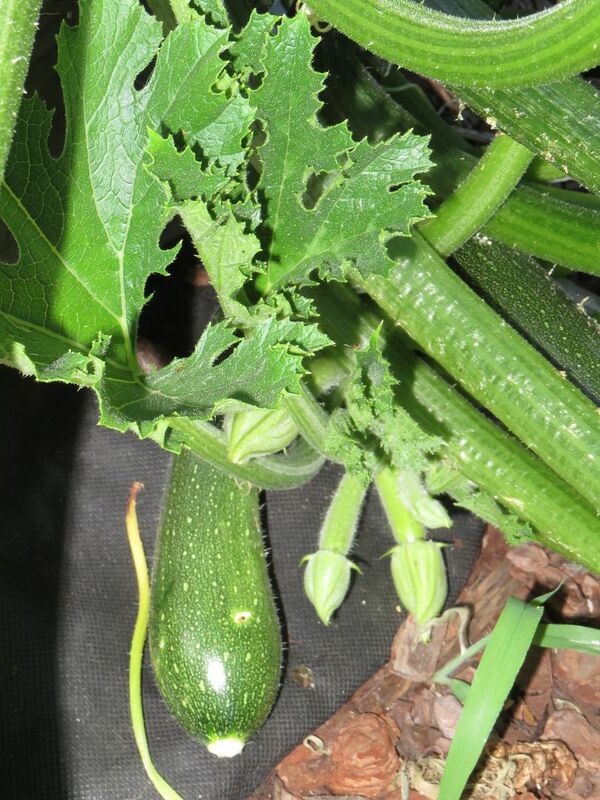 We weed and mulch and graft pears to the tree, but like yours, our zucchini seem to grow with a force all their own. Dissolve salt in a quart of cold water in an earthenware bowl. Combine squash and onion in bowl. Add water to cover. Let stand at least one hour, up to two hours. Drain, rinse and drain well. Combine remaining ingredients in a large saucepot. Bring to a boil. Turn off heat. Add vegetables. Let stand one to two hours. Bring all ingredients to a boil; reduce heat and simmer 5 minutes. Pack hot vegetables into hot, prepared canning jars. Pour liquid into jars leaving 1/4” headspace. Place lids and rings. Process 15 minutes in a boiling-water canner. 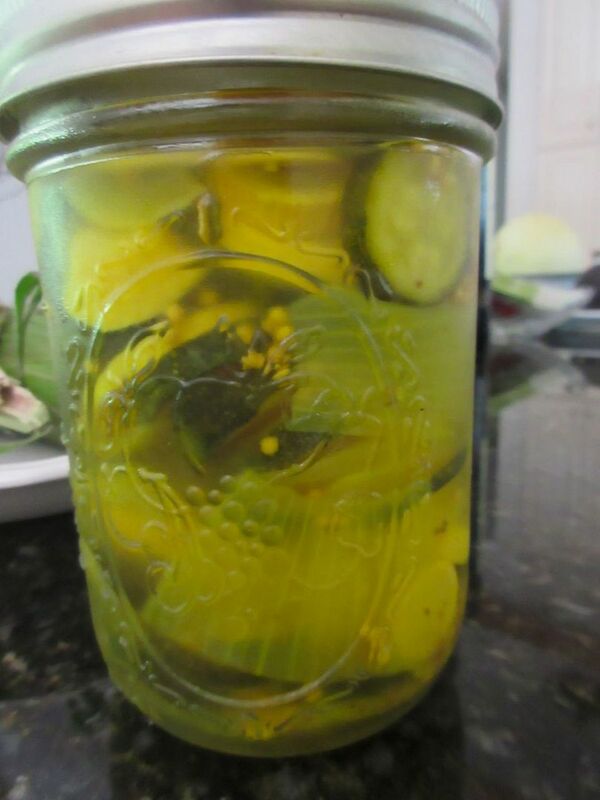 Let pickle age at least two days before serving to develop flavor.